There's some decisions you know you'll regret in the moment but you figure "bugger it, how bad can it be?". It's this self same instinct that led to the Ginsters pasty empire and keeps Tattoo Fixers supplied with idiots. 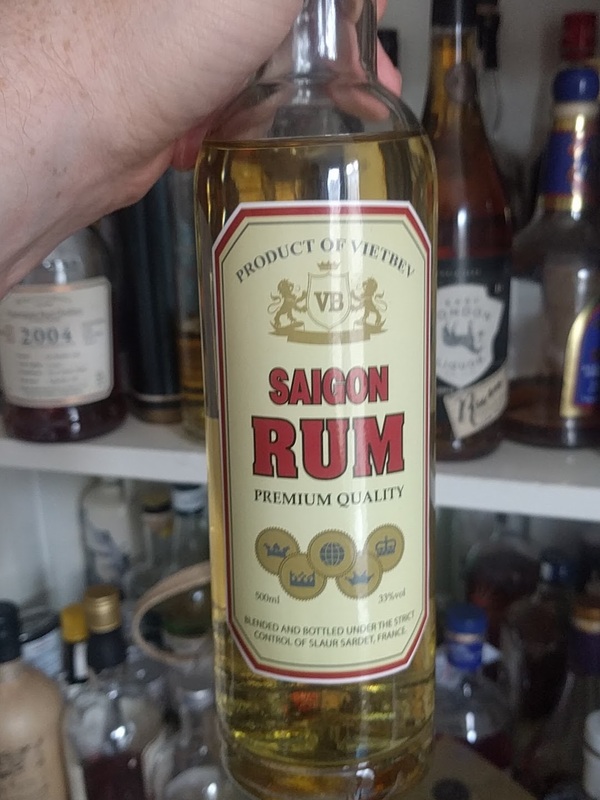 In a fit of wild optimism I picked up a bottle of this for 100,000 Dong in Ho Chi Minh City and that's about £3, I knew it was going to be bad but there's something about international travel that suppresses your rational, logical brain (see the number of Magaluf genital tattoos in the aforementioned Tattoo Fixers). But, in the long tradition of weird bottles of spirit that you buy on holiday I decided to give it a go. So, what does £3 get you? On the nose there's a weird, not entirely unpleasant medicinal note, like a drowsy cough medicine with some over-ripe banana. 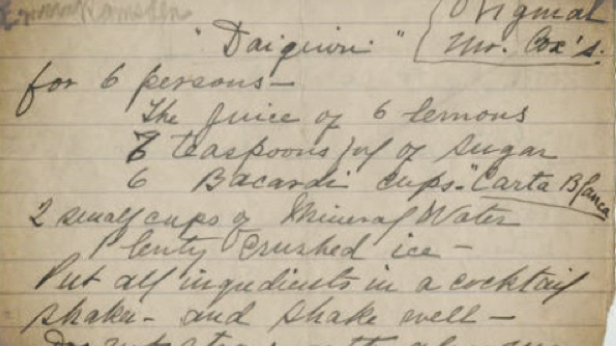 Flavour-wise is where things get strange, it's a thin, TCP like flavour, the bananas keep floating around the edge of the palate. Its undeniably harsh on the way down, with a definite burn and odd tingle. A lingering aftertaste of something unpleasant, a morning after mouth of many mixed drinks. The burn is quite something given this is only 33% ABV. It's certainly not as bad as, say, Stroh, but it's pretty bloody awful. Apparently this is "Blended and bottled under he strict control of Slaur Sardet, France." 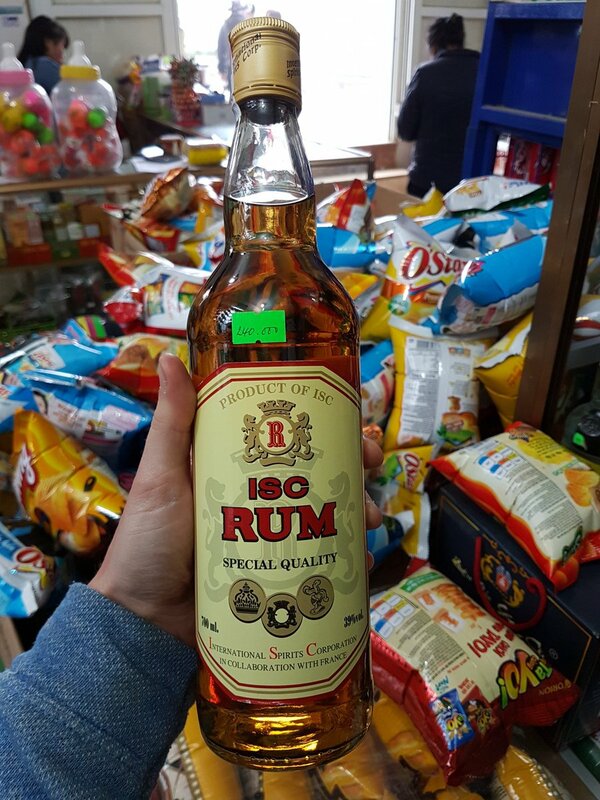 Slaur Sardet are a French company who make a large range of rums. Funnily this one doesn't show up on their product page. 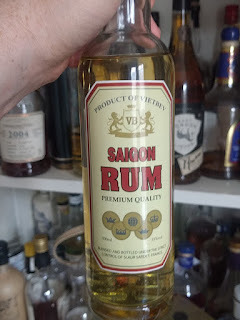 Interestingly there is also an "ISC Rum" floating around Vietnam with a very similar design of bottle and of French origin as spotted by the excellent @joblogsrum. Bottom line is, it's cheap, not very good and not especially interesting but sometimes you have to take a punt.